In April, the Fellows will be back in Atlanta to paricipate in the program's closing event. Before they arrive, we spoke with two of the Fellows to learn more about their experience and the impact the program has made so far. Meet Nick Caballero. 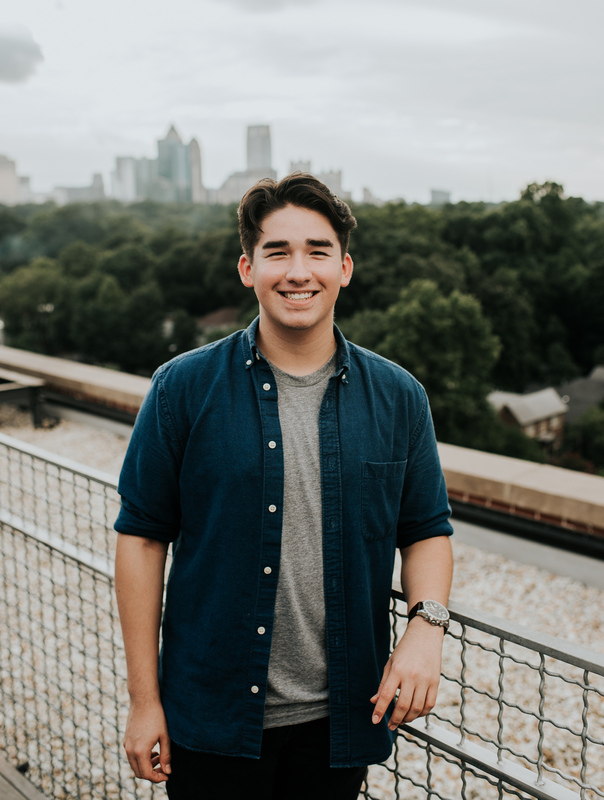 Nick is earning his bachelor’s degree through the Starbucks College Achievement Plan. He enjoys reading (his new year’s resolution is to read a book a month! ), photography and giving back to his community. He regularly volunteers at STEM Fest, a program he founded while at John Jay Science and Engineering AcademyScience Academy in which high school students put on science, technology, engineering and math demonstrations for grades K-8. During my junior year, I co-founded Leader Academy at my high school with the help of my vice principal and English teacher. They both really encouraged me to pursue my passion for learning. When I was applying for collegiate leadership opportunities, I applied to about 32 post-graduate programs and got a no back from 31. My only yes was the Chick-fil-A Fellows program. When I got that email, I ran through the hallway to my English teacher’s classroom, and we just yelled. It was a very surreal moment. The description for the program sounded like a college version of Leader Academy, which had already helped me grow personally and as a leader. I still remember the first day of Leader Academy and how it made me realize that I wanted to be bigger than just myself and give back to the community. 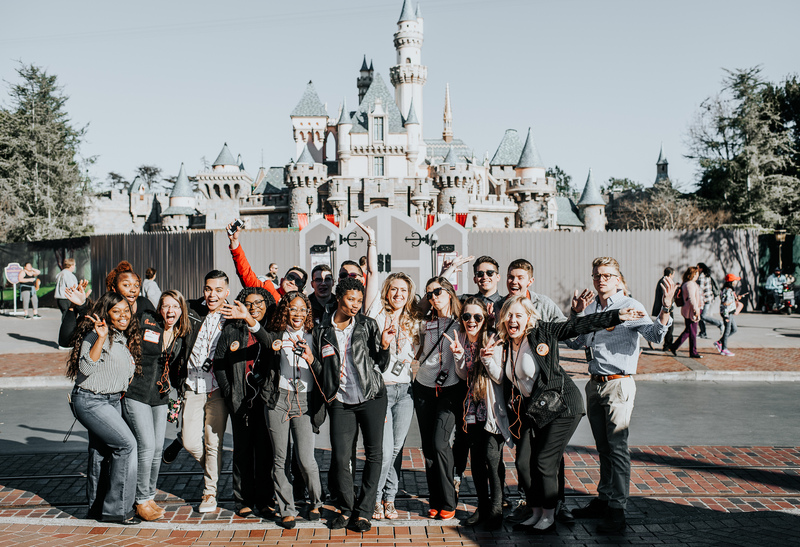 Leader Academy had made me a better version of myself, so I was imagining how I could improve through the learning experiences of the Chick-fil-A Fellows program. Two weeks ago, my mentor came to visit me while I was working at Starbucks and was so genuinely interested in the day-to-day work that I do. We meet for dinner every two months, but the fact that he got on a plane to come see me meant so much. He even came and had dinner with my family--and he was in for a treat because my mom makes the BEST carne asada. 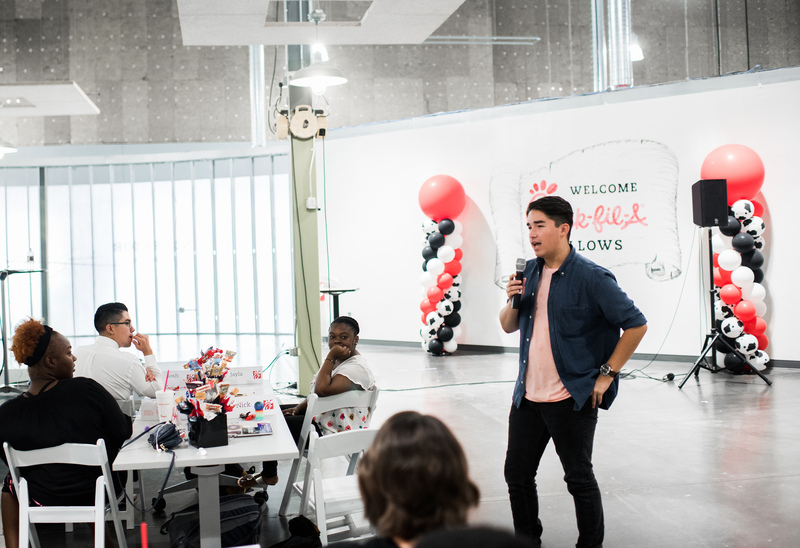 Even though I was always an avid customer, I didn’t know too much about Chick-fil-A’s values prior to starting the Fellows program. The kickoff event really blew me away. Their dedication to investing in people and communities is inspiring. Every team member I met emphasized the value of giving back. I really admire the company purpose. I guess I used to be pretty cynical in mindset and this whole experience has opened me up. I’ve learned to get out of my comfort zone and to not play it safe. It’s taught me how to grow as a person, and that when you build up the people around you, beautiful things happen. People are where the love of the world grows. Q: Have you seen a benefit in having a Chick-fil-A mentor? If so, what has it been? My mentor has taught me a valuable lesson in equal perspective. I’ve seen the way he looks for a solution from all different angles. He listens to both sides and then makes a decision or statement. He’s taught me that good business starts with thinking collaboratively. My number one goal is to walk across that stage and get my diploma. After that, I’d ideally like to be at Chick-fil-A Corporate working in their Innovation department. As far as my personal life, I’d like to have a significant other and be a homeowner.